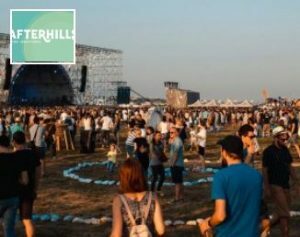 AFTERHILLS is a Romanian music and visual arts festival, where over 75,000 people gather every year to party, enjoy some amazing food and embrace new experiences. After its thrilling debut in 2017, the festival returns to the city of Iași with a lineup that includes Sunnery James & Ryan Marciano, Vini Vici, Hurts and Paul van Dyk across over seven stages. And beyond the music, AFTERHILLS lays on a programme of interactive workshops for festival-goers to get involved in, dots its site with creative art installations, and includes number of other surprises to discover. The theme for this year’s festival will be Dreamers.